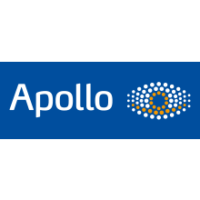 Apollo optics is Germany’s busiest optician and contact lens provider with around 800 stores. This keeps the company close to its customers. Now Berliners can look forward to receiving another Apollo-Optik branch at the Alexa-Center, Grunerstraße 20, 10179 Berlin. In addition to the always current offers and fair prices, you can always do an eye test for free. In addition, you can always buy without risk, because the optician guarantees 100% satisfaction – otherwise there is the money back, no ifs and buts!